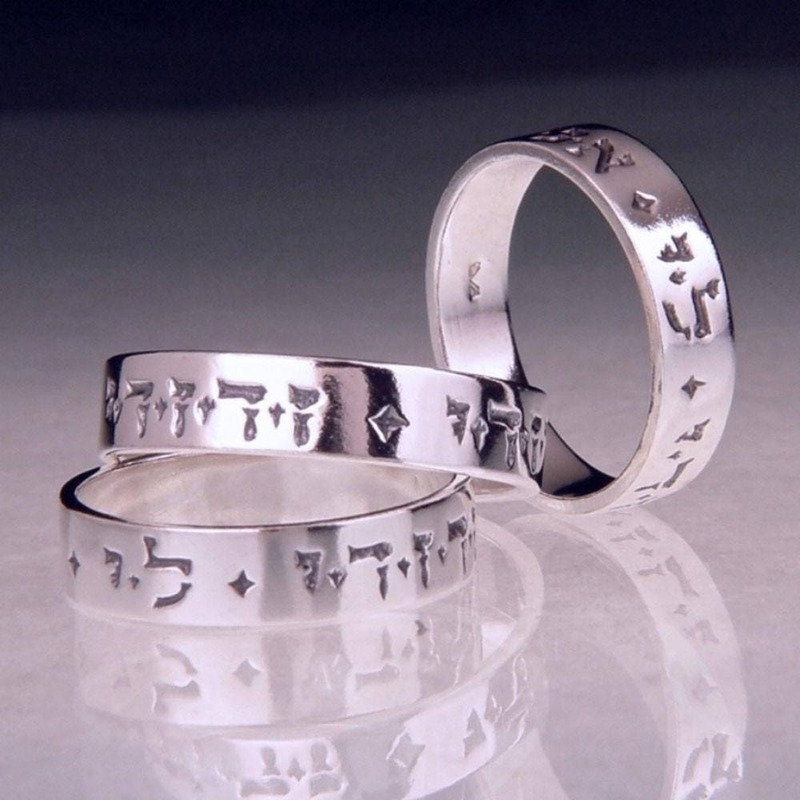 Inscribed in Hebrew: Ani l'dodi, v'dodi li, meaning 'I am my beloved's, and my beloved is mine'. From the Song of Solomon 6:3, comes this beautiful message from King Solomon - a declaration of mutual love and affection from some of the most passionate verses in the Bible. The Song of Solomon can be read on many levels. On the surface it is about romantic love but it can also be read as an allegory about the relation of the finite to the infinite making it even more complex. Traditionally, though, the verse has been given as a token of love when engraved on jewelry. These rings are cast in sterling silver using the lost-wax method and are hand finished.